The scandal broke out after a Croat football player recorded a video address to Ukrainian fans. Ukraine is hitting back against what it sees a misleading report by the Independent where the British newspaper is practically following the Russian aggressive narrative about Ukraine and misinterpreting facts. 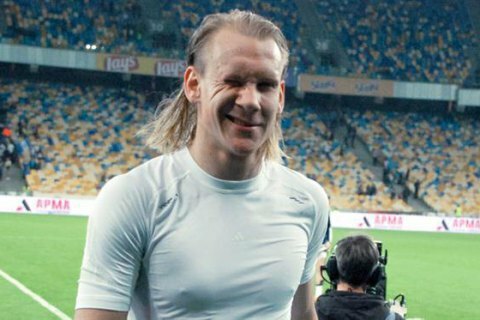 The report covered the story of a Croatian national team player Domagoj Vida who exclaimed "Glory to Ukraine!" in a short video addressing his Ukrainian fans following the win over Russia in 2018 World Cup quarterfinals where he scored twice. On 9 July, Business Ukraine magazine tweeted: "The UK's @Independent newspaper so far wins the award for Most Misleading Explanation of the Phrase "Glory to Ukraine" with this offering: "...a phrase that continues to be deployed by anti-Russian Ukrainian nationalists following the 2014 Maidan coup". The Ukrainian publication also recalled that the Independent is in fact a Russian-owned newspaper. The Ukrainian embassy in the UK responded to the British publication, also addressing another newspaper, The Sun, on the same day: "We would like to remind @TheSun & @Independent that 'Slava Ukraini' means 'Glory to Ukraine'- a patriotic expression like 'Vive la France', 'Long live the Queen', 'Let Poland be Poland'. Will you call those who chant these phrases nationalists&boo them?" In turn, the EuromaidanPress website provided a short guide to the meaning of "Slava Ukrayini! ", or @Glory to Ukraine!" exclamation.